Can I expunge a DUI conviction in Florida? Many DUI drivers plead guilty to drunk driving thinking that the only penalties they face are high fines, probation, a license suspension and potential jail time. What they do not realize is that when they apply for certain professional licenses or for employment their employer may be able to access their criminal record and deny them employment if they have been arrested or convicted of a DUI. Your other option may be to seal your record. Sealing the record, however, does not destroy the records. The files and information still exists, but it is sealed from the publics requests to view the information and anyone who wishes to view the record must request a Court Order. The goal of sealing or expunging a criminal record is to allow you to have a fresh start. In fact, if you are asked if you are arrested on an employment or housing application you can legally answer no if the record has been expunged or sealed. While the process seems simple enough, it may be difficult to accomplish on your own. Florida has specific statutes which are outlined in the Florida Statutes and Rules of Procedures which must be carefully followed to get a successful expungement. 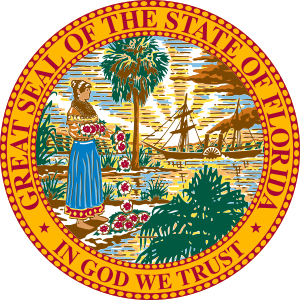 If you are a repeat offender or if you have committed certain crimes the state of Florida will not allow you to seal or expunge your record. That leads us to a DUI conviction. Can My DUI conviction in Florida be expunged? Unfortunately, under Florida state laws, if you are arrested for DUI, charged for DUI, your case is brought to court but you are acquitted, your record will also not be expunged or sealed. The state has argued that your right to have your DUI case expunged is less important than the publics right to access public records. If you have been arrested for DUI in Florida it is time to talk to a DUI lawyer.